“We look at other individuals, or Mike Scioscia for example. Entering his 19th season as the manager for this ball club. Does a contract like Mike Trout apply more pressure to somebody like him to turn things around or else [Arte] Moreno is going to move into a different direction?” Smith asked Passan. That would have been a very logical question. Problem is, Mike Scioscia no longer manages the Angels. The longtime manager retired from his post on September 30, 2018, after 18 years with the club. In his response, Passan politely corrected the “First Take” host on his blunder, and informed him the newly appointed manager is Brad Ausmus. “Oh my God, I’m sorry I totally forgot about that. I can’t believe I forgot about that. ‘Cause Mike Scioscia was one of my favorite guys. No problem,” Smith proclaimed, backtracking on his earlier statement. “There’s a lot of shuffling going on during the offseason,” Passan replied. However, that didn’t stop MLB Twitter from firing off a couple jokes at Smith’s expense. 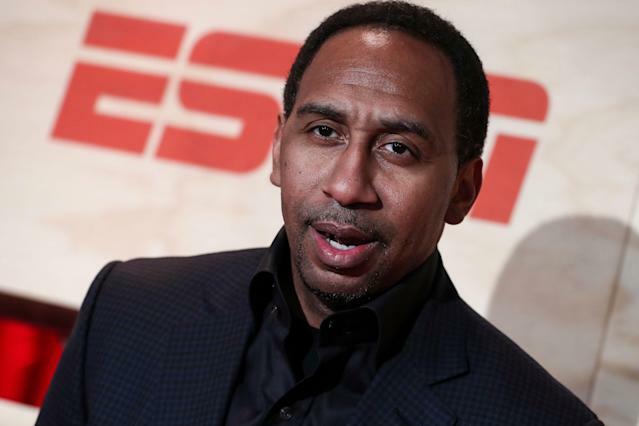 Stephen A. Smith did not know that Mike Scioscia stepped down as Angels manager at the of the '18 season. Others came to Smith’s defense, toting Scioscia’s longevity with the storied club as an easy mistake. In his defense, Sciosca was the Angels manager for like 20 years. Easy mistake to make. Now if he mentioned Connie Mack being the manager, I'd be worried. While arguably embarrassing, this goof isn’t nearly as bad as when Smith made four glaring errors when discussing the highly contentious divisional matchup between the Kansas City Chiefs and the Los Angeles Chargers back in December.